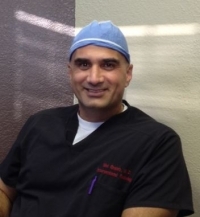 » Watch Next Video by Dr. Mel Ghaleb, MD - What does sclerotherapy feel like? What is phlebology? Phlebology is the medical science which is dedicated to the diagnosis and treatment of all aspects of venous diseases. Varicose veins, insufficiency of reflexes are just one of the examples of medical ailments that can affect veins. And it affects millions of Americans.